Bhupendra Kumar Modi- led Spice Global has plans to enter into the most booming hospital and realty businesses in India. Spice Global will develop Saket City Hospital, a super specialty hospital in Saket, as the first venture. Spice Global has stepped into hospital and realty businesses with their new super specialty hospital in Saket. The 1000- Bedded Saket City Hospital, the first super specialty hospital of Spice Global, will be completed by 2014. The estimated investment of this hospital is Rs.1,400 Cr. 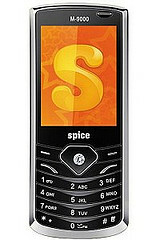 Spice Global’s Chairman Mr. Modi said that the group has already invested Rs.250 Cr for the development of its first phase. The first phase of Saket City Hospital will be completed by June 2013 with an estimated amount of Rs.400 Cr. The first phase will have 230 beds. Mr. Modi said that the group will raise the fund from internal turnover. Spice Global has plans to establish various hospitals across India. Once the group’s first hospital is completed, the group will develop hospitals across India. Mr. Modi said that they have purchased land parcels in Punjab and Mumbai with this purpose. Multi-specialty hospitals will be developed in these cities too. Spice Global to enter into real estate and hospital sectors. Spice Global had undertaken a hospital at Saket in New Delhi some years back. They had refurbished and renovated this old hospital to Saket City Hospital. The hospital will have many of the modern health- care facilities. Spice Global also develops a residential project close to the Hospital. Mr. Modi said that they have the plans to enter into the real estate market as well. He added that it will be only in a later period of time and the group will focus on health –care business in 2013. 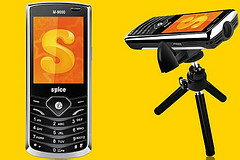 Singapore headquartered Spice Global has also plans to introduce mobile healthcare facility in India. The group chairman said that the connectivity is an issue in India. He said that the group has mobile healthcare facility in Singapore. He optimistically said that the group will be able to offer mobile healthcare facility in India by next year. This entry was posted in Real Estate News and tagged Bhupendra Kumar Modi, Saket City Hospital, Spice Global by designer. Bookmark the permalink.